Here are the latest Groupon Vouchers, promo codes, discounts and everything in between for you for this Month of September. Groupon offer great deals and coupons ranging from 50-90% off on Restaurants, Fitness, Travel, Shopping, Beauty, Spas, Holiday Gifts and more. You’ll find some great last minute deals on Groupon so make sure you shop around to get the best discounts from Goupon this month. 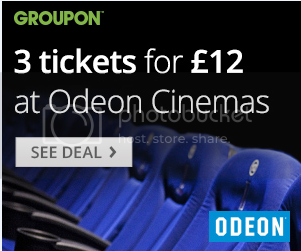 Groupon features a daily deal on the best stuff to do, see, eat, and buy in the UK with a variety of deals so use our Groupon Promotion Codes and get an even better deal. Validity: Credit expires 5 Mar 2016. £15 All-You-Can-Eat Chicken Wings With A Beer – On a visit to The Joint’s Marylebone branch, diners can tuck into as many as chicken wings as they’d like and stay refreshed with a beer each.